Is it that time again to upgrade the ol’ girl in the garage yet? Maybe you’re one of the many buyers who stick to what they are familiar with and you’re due for an update? 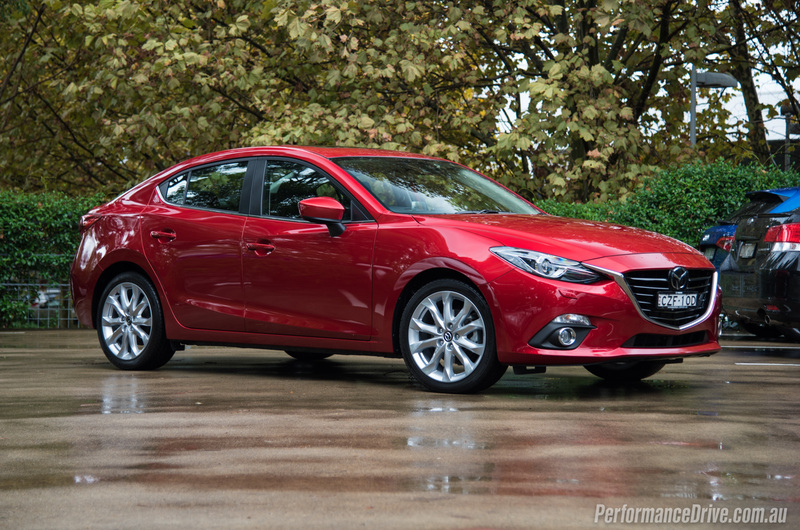 Or maybe you’re in the market for a safe, stylish and conservative small car that has a bit more oomph than the usual; the 2016 Mazda3 SP25 Astina might hold the answer. 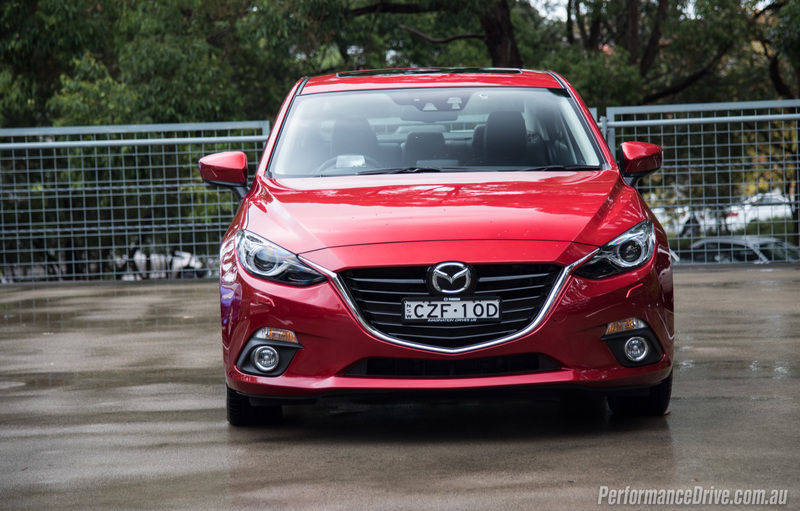 In what has helped make it so popular over the last decade, Mazda offers a wide variety of trim levels in the Mazda3; the Neo, Maxx, Touring, SP25, SP25 GT, and at the top, the SP25 Astina. Then among these, three different engines are offered. Sadly, the SP25 variants now have an extra role in covering for the departure of the true sport variant, the now deceased MPS. 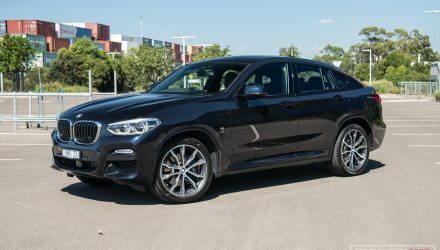 The range-topping SP25 Astina we’re testing here comes with the greatest amount of luxury, and also receives the bigger 2.5-litre engine producing 138kW and 250Nm. Prices start at $37,040 for the six-speed auto sedan (as tested). The Mazda SP25 Astina is targeted towards buyers who are on the lookout for an everyday, fuss-free small car, but have a few extra bucks to spend on luxury/safety features and a bigger engine. 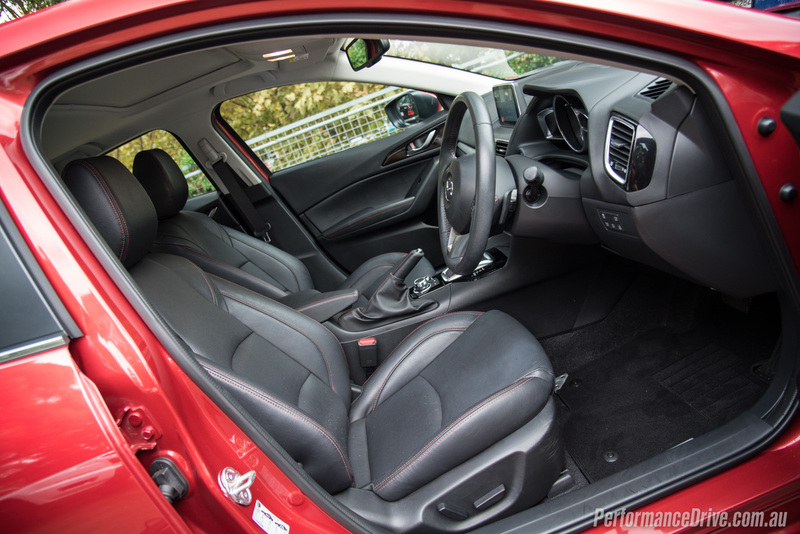 It comes with leather seats as standard, which give excellent comfort and support. 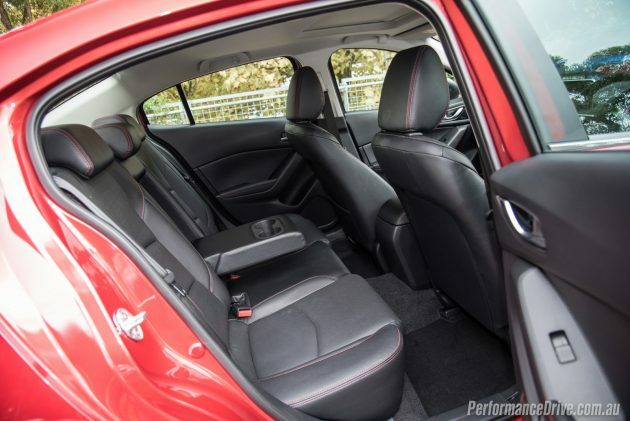 In the back, it’s comfortable enough and certainly at the segment standard in terms of legroom and headroom. 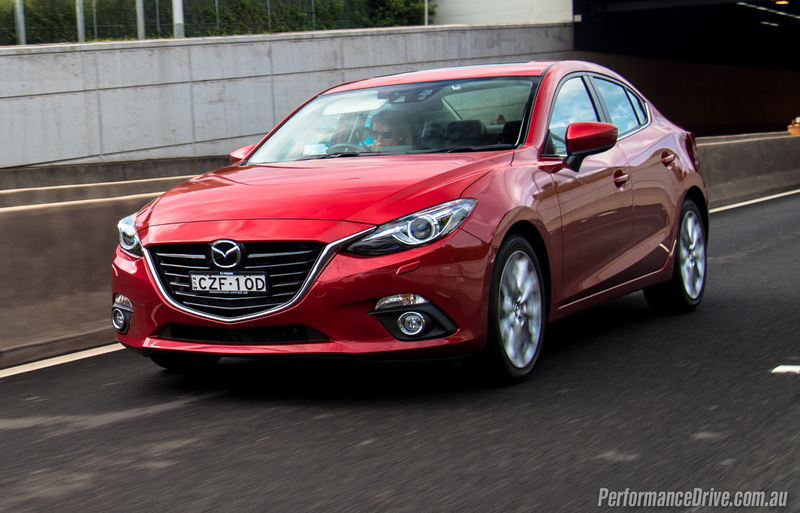 Even though the Mazda3 is classified as a ‘small’ car, families greater than two people are more commonly purchasing them. But unfortunately, rear passengers are forgotten, and there are no air-con vents in the rear. The standard feature list pioneers in its class with the SP25. It comes equipped with Mazda’s brilliant MZD Connect infotainment system with a 7.0-inch tablet-style screen on the dash, and navigated via an easy-to-reach hand controller near the armrest. 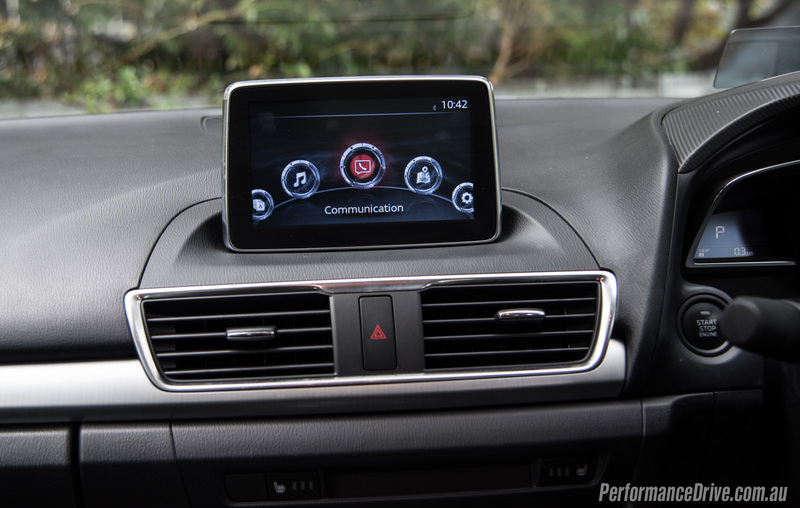 It offers sat-nav, phone connectivity, Pandora and Stitcher, and a rear-view camera. Playing music through the superb 231-watt Bose nine-speaker stereo and amplifier is very enjoyable. The sound production is quite superior for this class, peaking at 101dB at full volume (similar to base model Mazda3 peak only much higher quality). 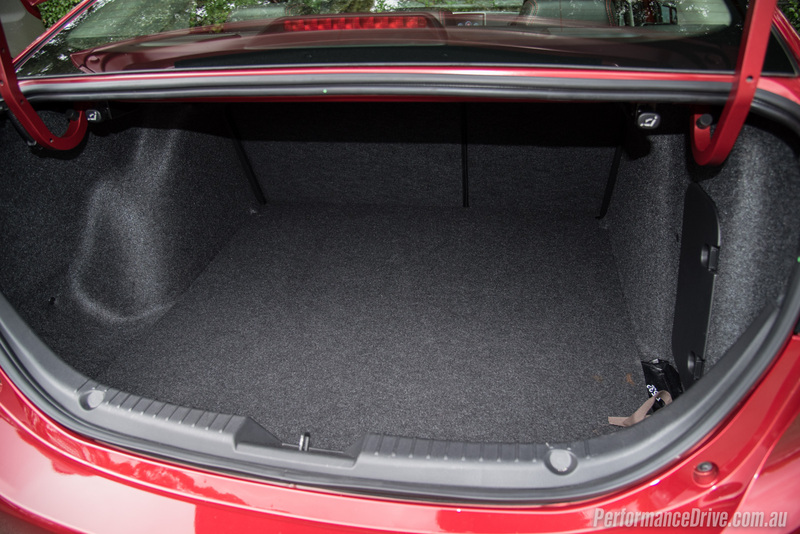 Choosing between the sedan and hatch ultimately depends on how much boot space you need. In the sedan there is 408 litres, and 308 litres in the hatch. 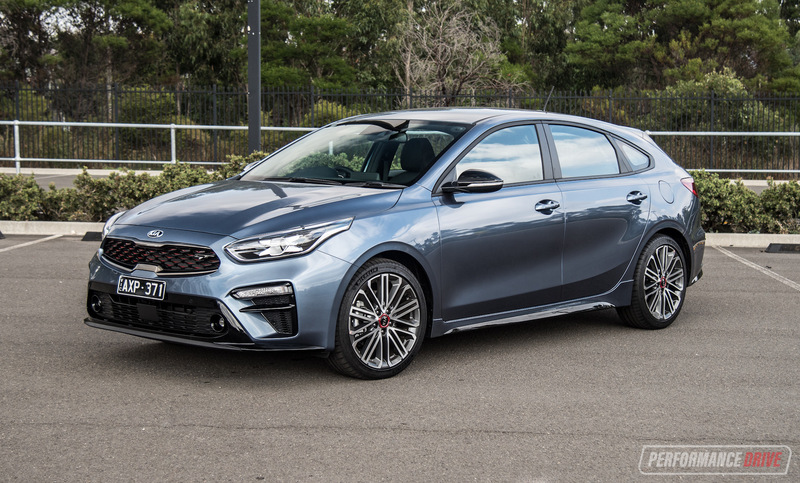 However, the hatch obviously has a wider and taller opening than the sedan. Rear seats can be folded down in both, but there is only a small hole left in the sedan while the hatch opens like a wagon. 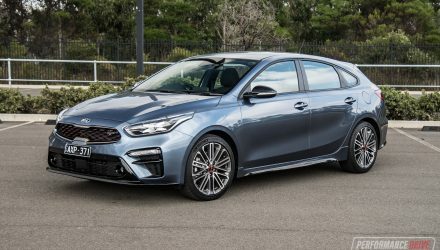 308 litres is quite a shortfall in the hatch compared to other makes, with the Ford Focus offering 413 litres and the i30 presenting 378 litres. So, is it really worth paying the extra 14 grand for the SP25 Astina over the base model? Well, it all comes down to whether or not you wish for 18-inch alloys instead of 16-inch, daytime running front and rear LED lamps, front fog lamps, auto headlights and wipers, heated side mirrors, a power sunroof, rear spoiler, head-up driving display, dual-zone climate control, radar cruise control, blind-spot alert, forward obstruction warning, lane departure warning, auto emergency braking, and heated front seats. 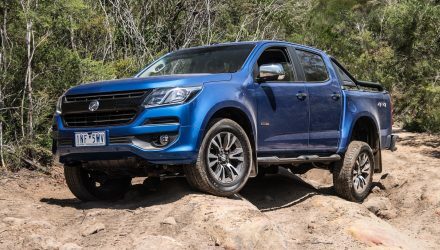 Some of these technologies have been around for a number of years now, but not in this lower vehicle class – the ‘everyday’ class. It is only a matter of time until these features are offered at a lower price. But to be fair, the class-favourite Toyota Corolla doesn’t offer half of these features, even in the top-spec equivalent. 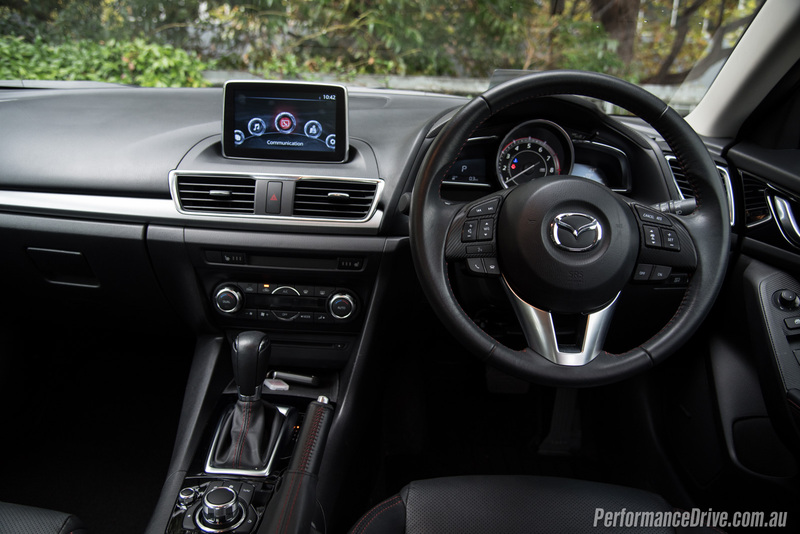 The great thing about popular cars like the Mazda3 is that everything operates exactly how you’d expect it to, and there are no rude shocks that you need to get used to. Well, that certainly goes for the base models. However, the SP25 has some features that may feel foreign for some buyers. 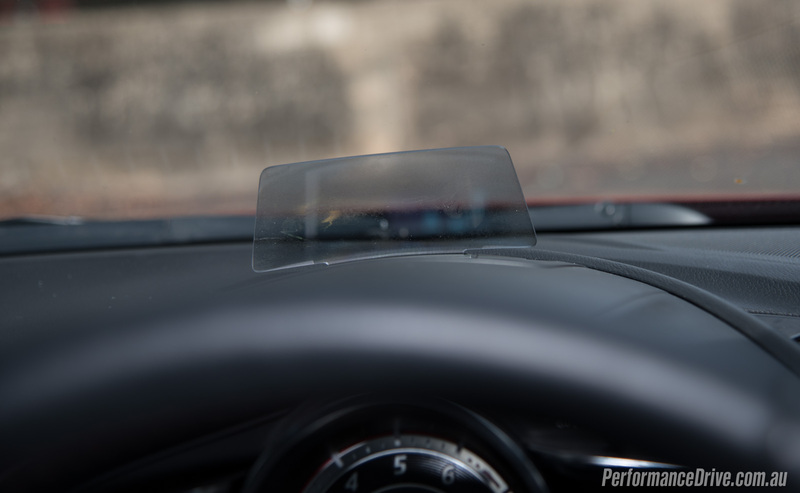 The head-up display panel was not desirable in our opinion. We couldn’t get used to it. It felt distracting and unnecessary. Our example vehicle’s plastic panel was already showing signs of wear too; it looked like cleaning products had started eating into the plastic, showing a faded and opaque appearance – not something you want standing in your line of sight. 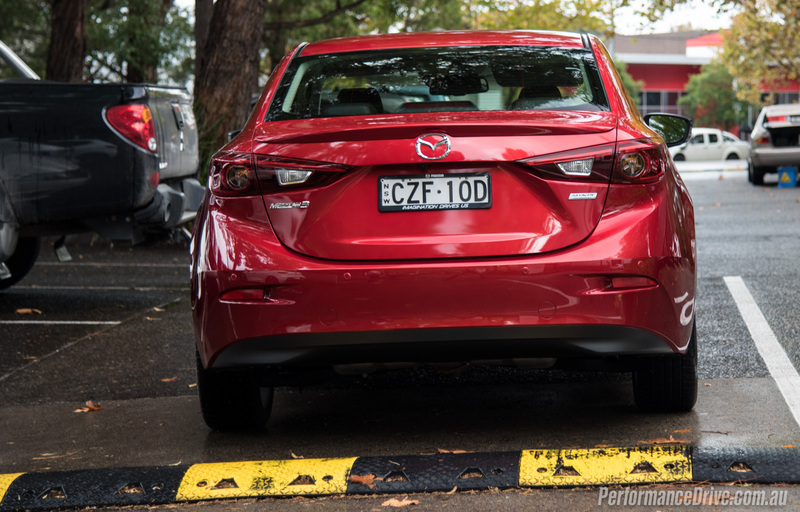 And we couldn’t find an option to flip it down like you can on other Mazda models with head-up display. Visibility is plausible, assisted by the decent-quality rear-view camera and handy blind spot assistants. 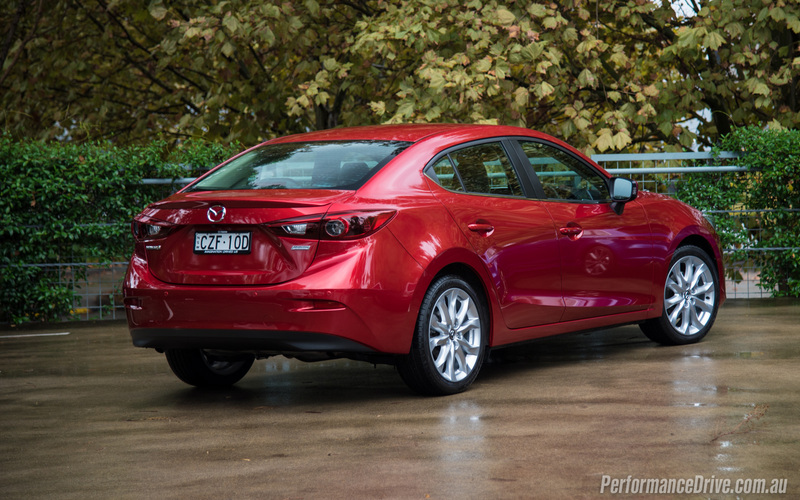 The Mazda3 has always been one of the better-handling mainstream small cars on the market. 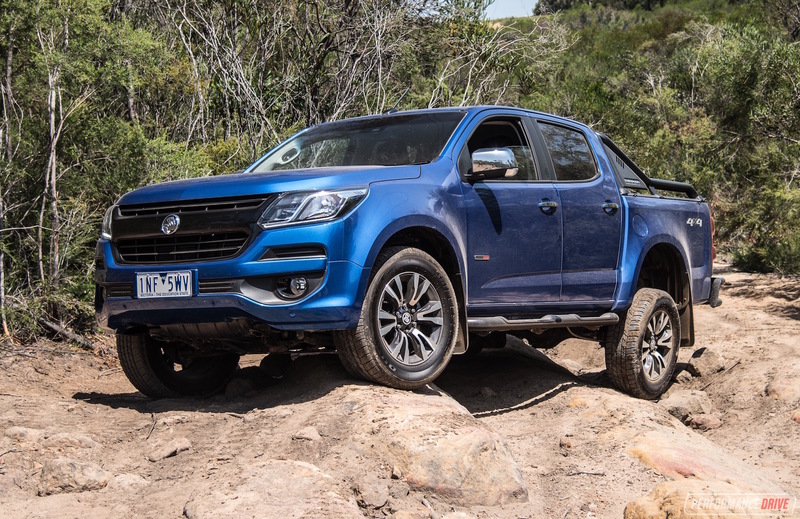 It feels very easy and light on its feet, with engaging steering, and a taut and well-balanced suspension setup. 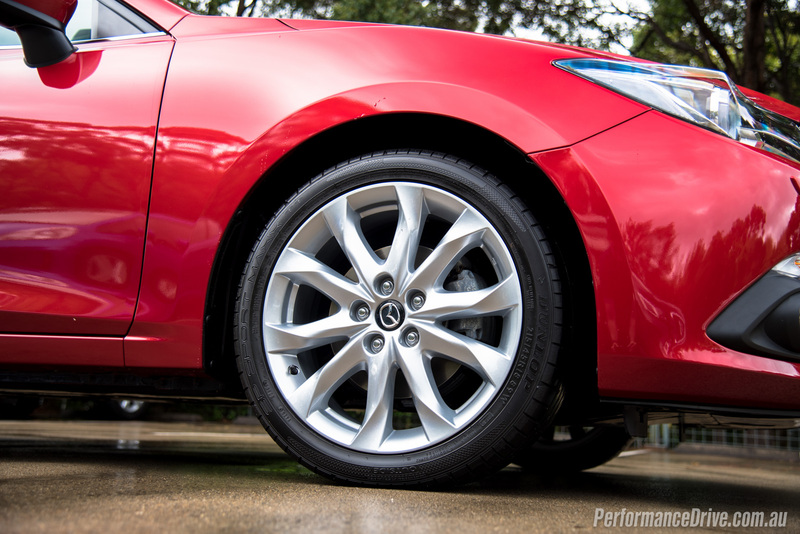 The low-profile rubber on the 18-inch alloy wheels also helps to sharpen turn-in response and agility. Worth noting is the 3’s impeccable ability to run over bumps with no shuddering or after-shock being sent through the body – a common trait with some of the competitors. As previously mentioned, the SP25 Astina boasts an upgraded engine from the base-spec 2.0-litre unit. 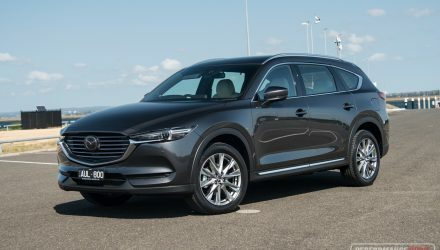 The fact Mazda has developed a unique engine is impressive. 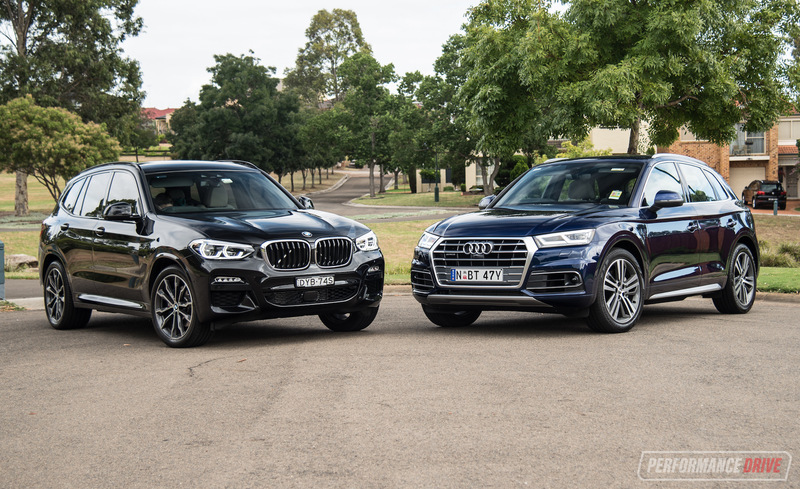 Many competitors in this class offer the same engine throughout the range. 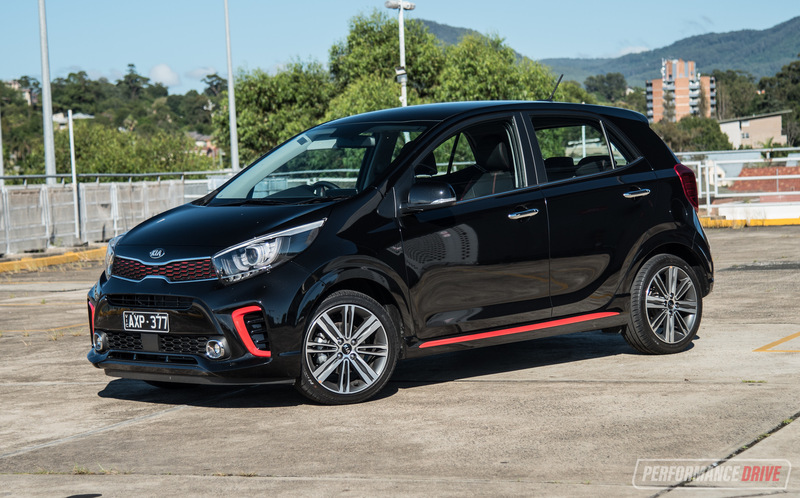 An output of 138kW and 250Nm means that the vehicle rarely feels breathless. 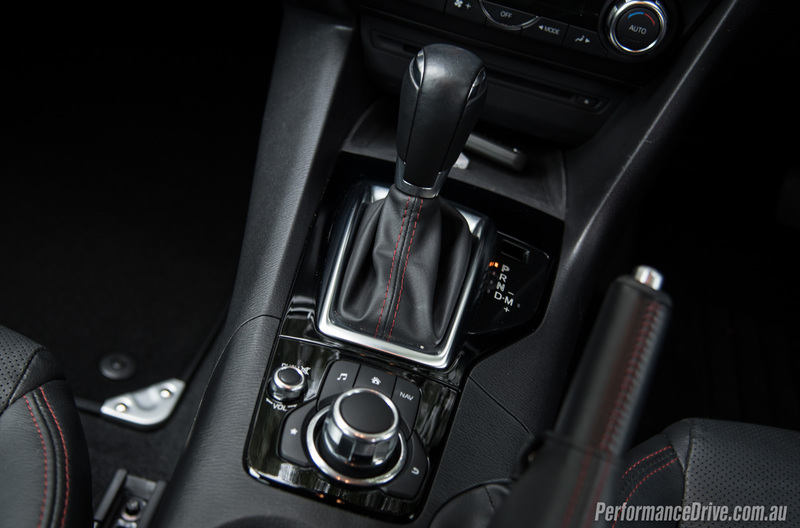 Even paired with the six speed auto, it doesn’t take away that zippy ability. In fact, using a modest driving style, the Astina gets up to the flow of traffic effortlessly and quickly. Outright performance is commendable for this class of car. 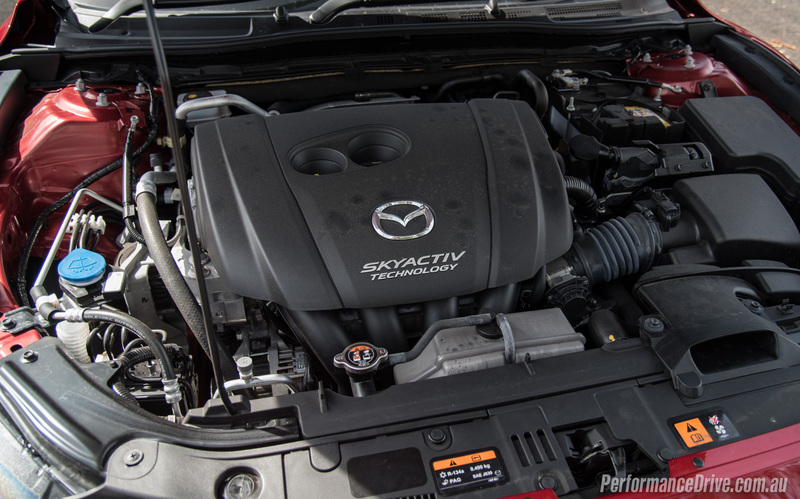 Once again, it’s a shame Mazda did away with the MPS hot hatch, which technically makes this engine the Mazda3’s sportiest offering – it’s still one step better than the Corolla though, which pathetically only offers one engine. We timed 0-100km/h in 7.74 seconds, with the quarter mile coming up in 15.93 seconds. These times would be improved slightly with the manual option we think. 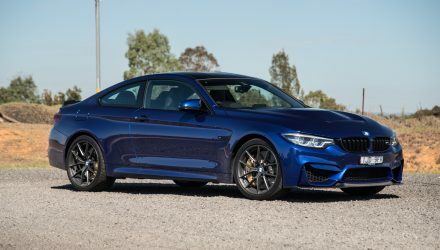 The six-speed auto gearbox changes up and down quickly and on your command if you desire, but it did show some clunking on rare occasions for us – ironically, when driving gently. We admire the fact that with a rather large engine capacity it is not shown in a big increase in fuel consumption. Fuel consumption rises from 5.7L/100km to only 6.0L/100km going from the 2.0 to the 2.5 (officially). It’s hardly an increase to grumble about. Surprisingly, the manual option ups the consumption to 6.5L/100km. Our harsh driving style in this auto version returned an average of 7.5L/100km (also similar to the 2.0L we’ve tested). 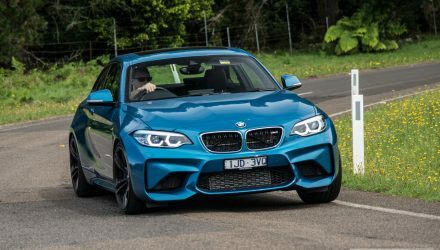 This isn’t exactly class-leading if you compare it to some of the small turbo rivals – VW Golf, new Honda Civic – but pretty good considering the power output. 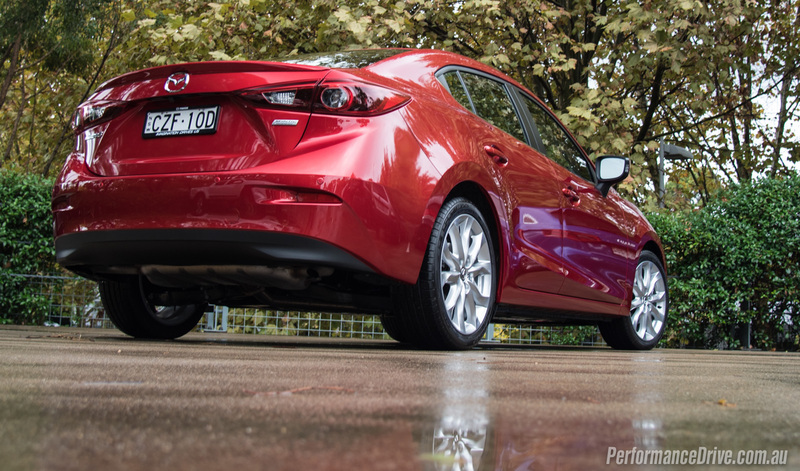 As history has paved, all Mazda3s are buzzy little engines that emit a rather off-putting, high-pitch note. 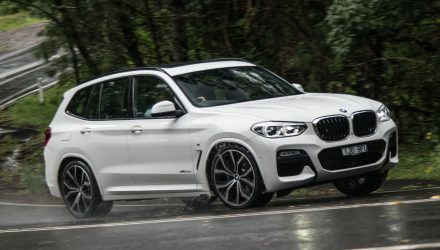 The 2.5L engine holds that trend. 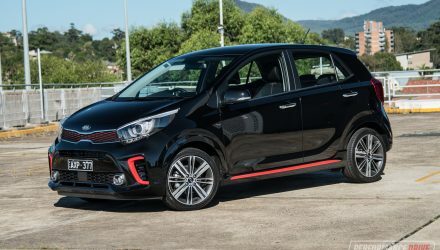 According to our decibel gauge, the engine produces 86dB during 60-100km/h full-throttle acceleration (same as 2.0L), and in-car idle registers a whisper-quiet 43dB. It is clear to see why the Mazda3 continues to be so popular among buyers in the small car category. Many in this market are not exactly thrill-seekers and probably go by the philosophy of “the last one worked well, so why change brands”. 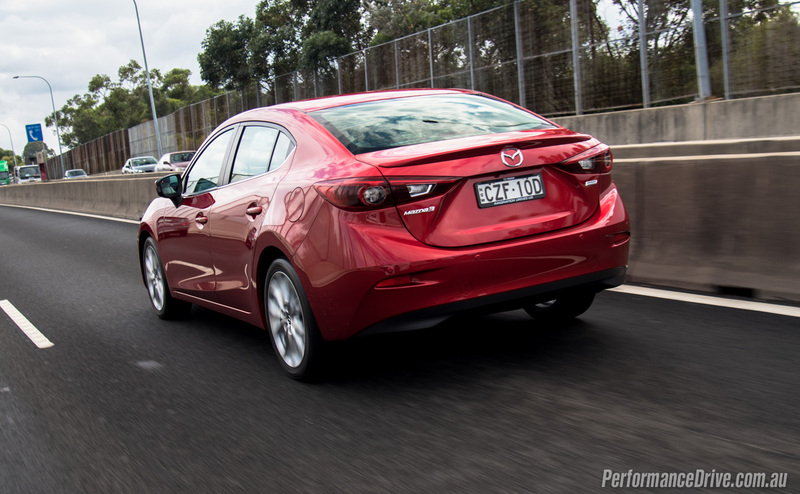 And luckily, the Mazda3 has continued to be a proven-reliable option. The SP25 Astina is a great testament of luxury features that are starting to creep down from the high-end luxury carmakers too. Although, all of this does come at a rather premium price tag. 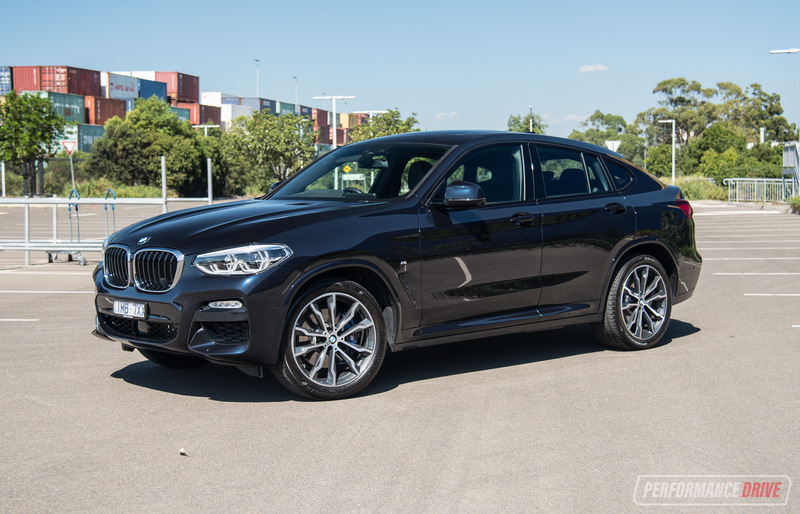 – Best design in the segment?